Very pleased with hospitality service, hot spring and cleanliness of the hotel. The only minor complaint is the out door pool is a little small for all guest at peak time. Thanks a lot definitely want to come back. Thank you very much for taking the time to review your recent stay at Hyoe Koyokaku. We are glad to hear that you enjoyed your stay and that you were pleased with our service, hot spring and the cleanliness of the hotel. We are delighted to hear that you would like to come back and we hope next time you will be able to enjoy even more the outdoor hot spring pool. The staff was friendly, professional service. And room have very good view. If we visit again, we would choose this hotel. 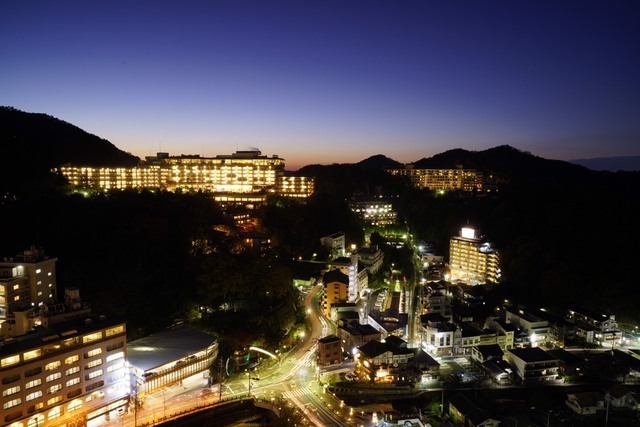 Thank for for choosing our hotel to spend your holiday in Arima Onsen. We are delighted to read that 神戸牛(Kobe Beef) was delicious and that you enjoyed the view from the room. The picture you attached to this review is very beautiful. We are grateful for the kind words about our staff and we look forward for your next stay at Hyoe Koyokaku.